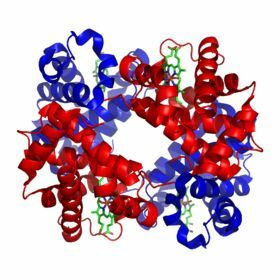 Hemoglobin is the iron-containing oxygen-transport metalloprotein in the red blood cells of vertebrates as well as the tissues of some invertebrates. 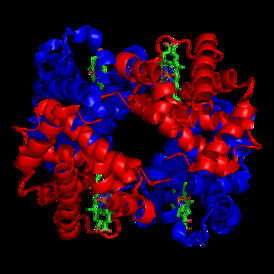 Hemoglobin in the blood carries oxygen from the respiratory organs to the rest of the body where it releases the oxygen to burn nutrients to provide energy to power the functions of the organism, and collects the resultant carbon dioxide to bring it back to the respiratory organs to be dispensed from the organism. This aptamer was selected by scientists at Base Pair Biotechnologies using proprietary methods and human plasma hemoglobin, [Sigma Cat #H7379] as a target.